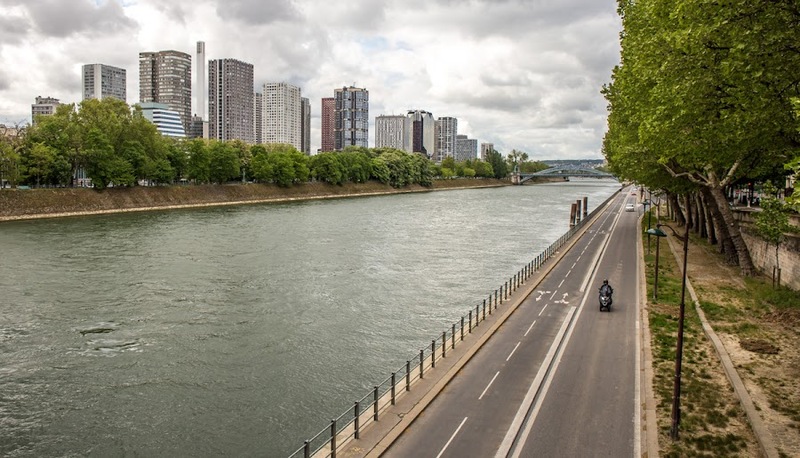 The Front de Seine neighborhood on Paris' Left Bank was developed in the 1970s as a mix of high-rise residential and commercial buildings. It's quite striking from a distance, but I never really got a feel for how to move through the space when I lived in Paris. Apparently, the public plazas and walkways have been improved in a recent renovation. The bridge in the background is a railroad bridge for the suburban commuter line C of the RER (Réseau Express Régional). Of course, I didn't really have much reason to spend time in this part of town back in the early 1980s, aside from curiosity about what it all was. I was always fascinated by cities, but I wouldn't start formal studies in architecture and urban planning until the late '80s. 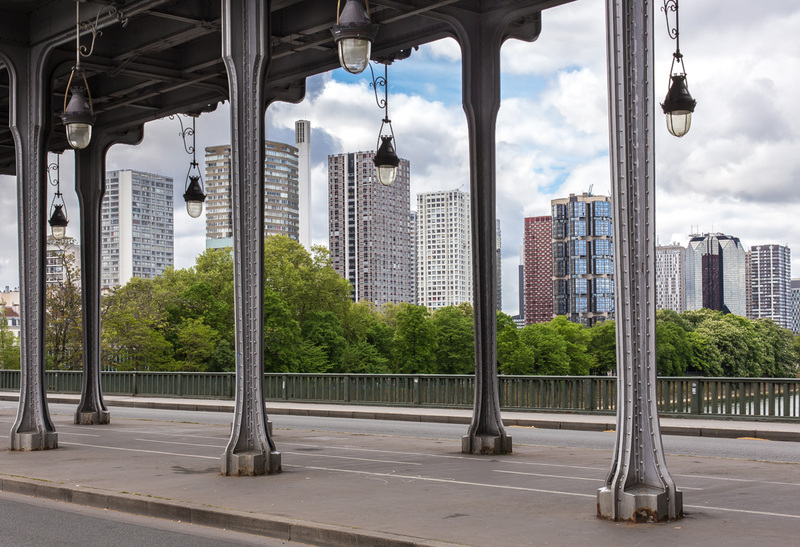 A view of Front de Seine through the structure of the Pont de Bir-Hakeim. These two views are taken from the Bir-Hakeim bridge, upstream from the development. Most of the towers were built in the 1970s, but the development's final building, la Tour Cristal, was constructed in 1990. I wonder what that very tall (the tallest in the set) slender structure is? A bell tower? A cell phone tower? The perspective from the Bir-Hakeim makes a very nice contrast of centuries. In your photos there appears to be something so open and inviting about the undersides of these bridge structures. Very unusual. some day I hope to see this city. kiwi, that, I read, is a smokestack for the underground heating plant. michael, I hope you do!